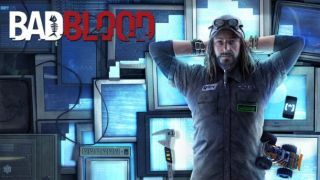 The upcoming Watch Dogs DLC Bad Blood will put players in the shoes of T-Bone Grady, the legendary hacker and trusted companion of Aiden Pearce, who risks his safety to help out an old friend but soon realizes that there's more to his story than meets the eye. Bad Blood will introduce a new story campaign that takes place shortly after the events of Watch Dogs, with ten new missions set in new locations scattered throughout Chicago. It will also a new system of side missions known as "Street Sweep" contracts, offering "endless hours of challenges" that can be played solo or in co-op mode. The "Hacking" and "Tailing" modes, and the ctOS Companion App, will also be playable as T-Bone. On top of the new missions and gameplay mode, Bad Blood will also add new weapons, perks and outfits, including the remote-controlled car Eugene, which can be upgraded with both offensive and defensive perks. The Watch Dogs Bad Blood DLC will be released to the public on September 30, but will go out to season pass holders one week earlier, on September 23. Full details are up now on the official Watch Dogs website .